Dress for Looking at Waves — Kalamaja Printsess. 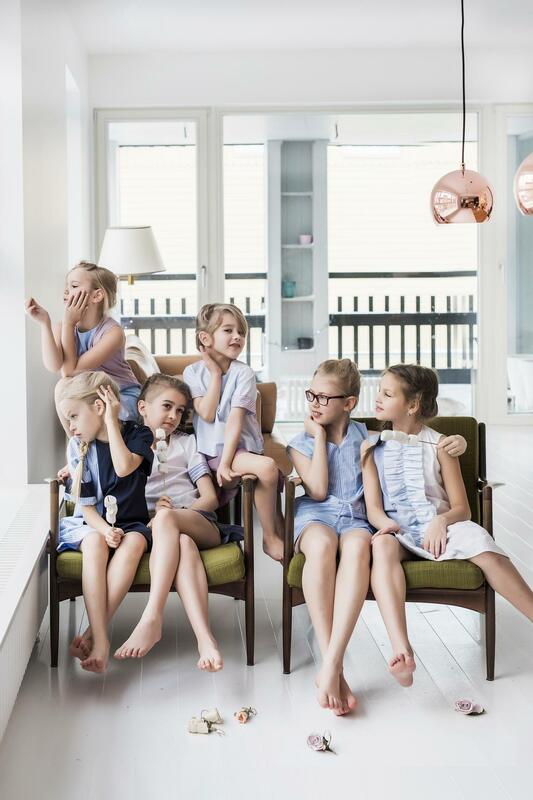 Scandinavian, sustainable, upcycled slow fashion for children and women. Suitable for wearing when picking seashells on the beach or when skateboarding through the parks, not to mention all those summer garden parties. 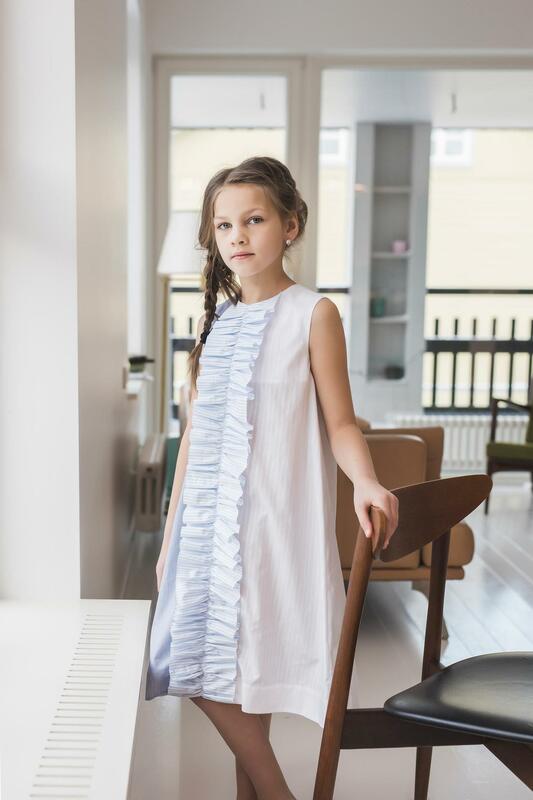 Made from three fabrics – white, light blue, light blue white stripes or dotted frills.